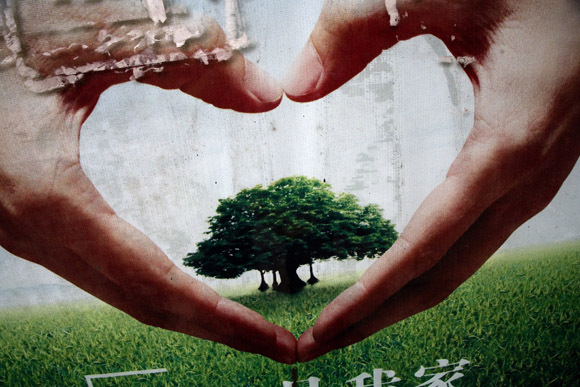 An advertisement at a bus stop in Shaoxing, Zhejiang, China, reminds people to care about the environment. One of my images (above), previously shown at 25CPW in the Magnum/Giving Trees exhibition and on the PDNPulse blog, will be projected in a PDN-sponsored slideshow presentation at the New York Photo Festival this week. I’m a little unclear about when the slideshow will be shown, but I believe it will be at St. Ann’s Warehouse at 38 Water Street in DUMBO, Brooklyn, between May 11 and May 15. I’ll update this post if and when I find out more information.